Luxury three bedroom / 6 person (77 sq m / 829 sq ft) south facing apartment situated in the heart of Villeneuve at the centre of Serre Chevalier. Ideally located; close to the ski-lifts (300 metres), shops and restaurants (both less than 40 metres). The Serre Chevalier resort sprawls across the four main villages of Briancon, Chantemerle, Villeneuve and Monetier. It is linked by 250 kms of superb piste, off-piste powder bowls for the adventurous, an efficient lift system (76 lifts) and a regular bus service. The resort has one of the most extensive artificial snowmaking networks in Europe to ensure the best snow conditions all winter long. A third of the entire ski area, over 154 acres (380 acres), is covered by snow cannons. The ski pass also allows access to the Italian ski resort of Mongenevre (25 mins away). Linen (sheets & towels) are available to hire at a charge of £8 (10 Euros) per person per week. A Local Tourist Tax is payable per week (13 years of age and above). Perfect location for the slopes. Will likely be back again sooner rather than later hopefully !!" 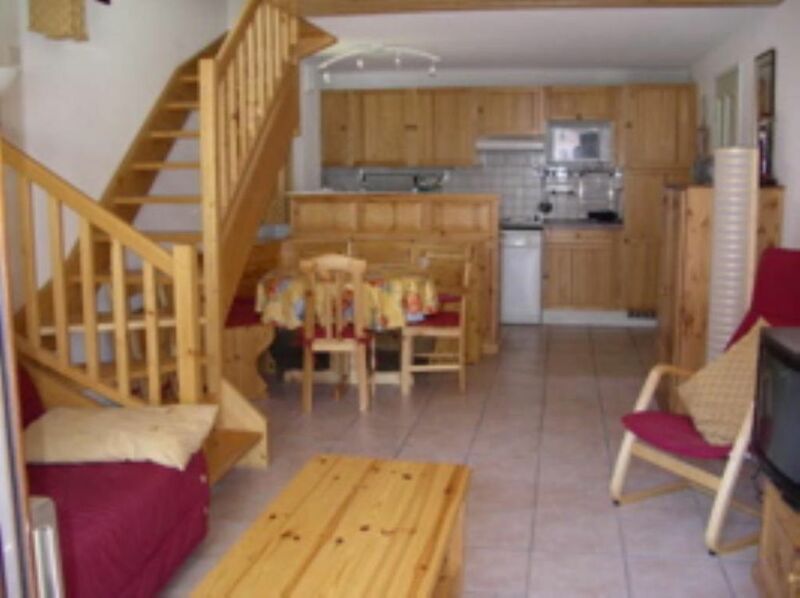 Bel appartement, localisé au coeur de la Salle. Appartement bien situé, 3 belles chambres dont une avec douche attenante. Une pièce à vivre agréable pour les soirées en famille. Petit bémol, une box avec du wifi serait un plus, mais la 4g fonctionne. Appartement grand et fonctionnel, proche des pistes et commerces. très bien équipé et propre ! Martine est à l'écoute et très disponible. "Appartement génial. Trés propre et trés calme. Trés bon accueil à notre arrivée et départ. "parfait a tous point de vue"
Air: Flight time from Gatwick, 1hr 20 mins into Turin (Italy), transfer to resort can be arranged. Rail: Eurostar from London Waterloo (or Ashford International) to Oulx or Briancon, Serre Chevalier (6 km from Villeneuve). Ski and snowboard hire can be found just 60 metres from the apartment. There is a secure ski locker within the building. In Villeneuve, there are numerous apres ski bars and restaurants to choose from. The Medieval mountain town of Briancon (10 mins along the valley), skidoos (Villeneuve), ice 4 x 4 driving track (Villeneuve) or ice karting (Chantemerle) are all highly recommended.